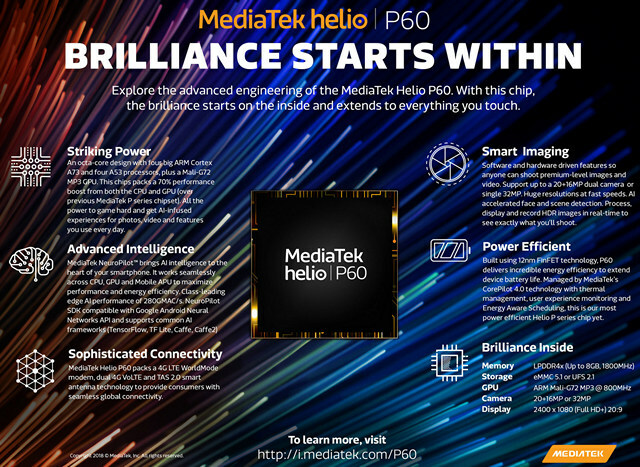 MediaTek is the chipmaker to jump on the AI bandwagon with the launch of the Helio P60 SoC that’s expected to power many smartphones, particularly in China, this year. The chip is manufactured on TSMC’s 12nm FinFET process, and has a built-in AI Processing Unit, or APU, not unlike the Kirin 970 SoC from Chinese tech giant Huawei. 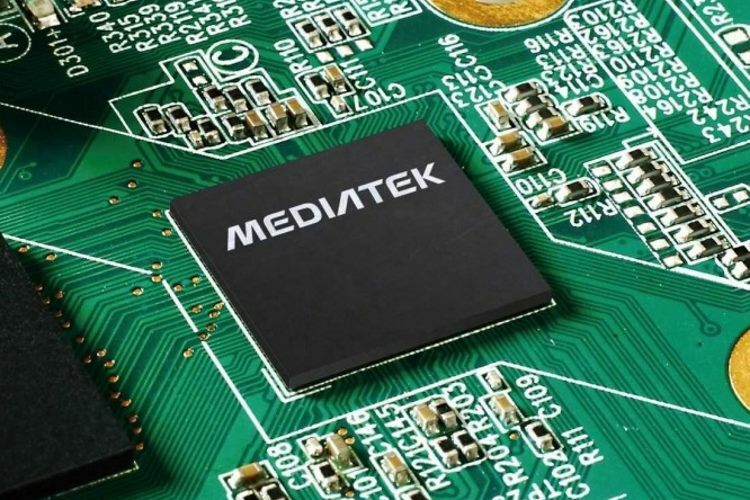 According to MediaTek, the AI chip, which includes the company’s proprietary NeuroPilot AI technology, “works seamlessly across CPU, GPU and Mobile APU within the SoC to maximize performance and energy efficiency”. Managed by MediaTek’s CorePilot 4.0 technology, the chip is said to be “up to 12 percent more efficient overall and up to 25 percent more power efficient in highly demanding games”. The Helio P60 comes with an integrated octa-core CPU that has four high-performance Cortex-A73 cores and four power-efficient Cortex-A53 cores, all of which are clocked at a maximum frequency of 2GHz using a big.LITTLE config. As is the case with these big.LITTLE cores, CPU-intensive tasks can use the A73 cores, for max power, while basic operations will use A53 in an effort to prolong battery life. The GPU on the Helio P60 is the ARM Mali-G72 MP3, which runs at 800MHz. In terms of cameras, the SoC supports dual cameras of up to 20MP + 16MP, or a single sensor up to 32MP. It is also compatible with Google’s Android Neural Network and supports open-source Tensor Flow software library, but apparently doesn’t support Bluetooth 5.0. According to TL Lee, General Manager of MediaTek’s Wireless Communication business unit, “Packing big core power and performance with a processing unit purpose-built for AI applications, the MediaTek Helio P60 chipset brings consumers flagship features like deep-learning facial detection, object and scene identification, fluid gaming experiences, and smarter camera functions. This new chipset gives everyone access to incredible devices without the premium price tag”.